University of Massachusetts Boston appears in our ranking of the Top 15 Online Adult-Gerontology Clinical Nurse Specialist (AG-CNS). In Herbert Lipke Auditorium, the College of Nursing & Health Sciences at the University of Massachusetts Boston delivers a 120-credit Exercise and Health Science B.S. under Dr. Jessica Whiteley with 400-hour senior internships like South Shore Hospital or Beth Israel Deaconess Center. Chaired by Dr. Rosanna DeMarco, the Nursing M.S. fulfills Nurse Executive certification through a hybrid 48-credit, CCNE-accredited curriculum mandating 500 practicum hours across four full-time semesters. The Health Care Management MBA specializes a 36-credit plan led by Dr. Arindam Bandopadhyaya, the 2005 Diener Excellence Award recipient, for generating innovative medical solutions. Similarly, the Health Care Informatics MBA overseen by Dr. Vesela Veleva streamlines 12 evening courses, such as Cyber Security and Patient Information Exchange, for RHIA credentials. On Blackboard Learn 9.1, the 39-credit Doctor of Nursing Practice helps Fall cohorts of master’s-trained RNs advance into C-Suite roles with just five Boston trips. 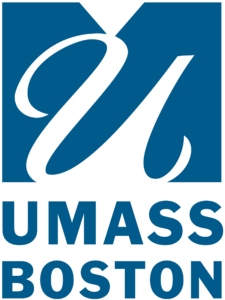 The University of Massachusetts Boston originated on June 18, 1964, when Governor Endicott Peabody signed legislation authored by Sen. George Kenneally to allocate $200,000 for a UMass branch. In Fall 1965, an inaugural class of 1,240 attended classes on Park Square’s Arlington Street. During Dr. Carlo Golino’s tenure, its current 120-acre Columbia Point campus overlooking Dorchester Bay was opened in 1974. Seven years later, the Board of Regents merged it with the struggling Boston State College. By 1995, the university tripled enrollment with growing graduate programs. In 2007, the College of Nursing & Health Sciences famously began the GoKids Boston initiative to address obesity. Fast forward to August 2018 and students started moving into the University of Massachusetts Boston’s first dorms. Endowed for $78.9 million, UMB now employs 1,243 faculty teaching 16,415 Beacons from 106 nations online and on-site with 150+ clubs like Active Minds. The U.S. News & World Report ranked UMass Boston the 191st best national university, 104th top public college, 73rd best nursing school, and 70th top online MBA program. On Niche, UMB boasts America’s third most diversity, 128th most liberal academics, 134th best nursing degrees, and 151st top location. Times Higher Education placed the University of Massachusetts Boston 447th overall. Forbes picked UMB 225th for most impactful research and 297th for top value. CEO Magazine positioned the College of Management 15th online. Given the 2016 Insight into Diversity Excellence Award, UMB received the second-highest Equity Index score. The Center for World University Rankings named UMass Boston 235th for faculty quality and 378th for education quality. PayScale recorded the 469th biggest mid-career salary mean of $92,300 for the University of Massachusetts Boston too. On February 26, 2016, the Office of Communications for the University of Massachusetts Boston announced that the New England Association of Schools and Colleges (NEASC) had extended Level VI accreditation for another 10-year period under its 15th chancellor, Dr. Katherine Newman, who earned the 1999 Robert F. Kennedy Book Award. Headquartered 20 miles north via Interstate 93 in Burlington, this superb six-state East Coast accreditor is recognized by the Council on Higher Education Accreditation (CHEA) for unbiased reviews of UMB’s 43 baccalaureate, 42 master’s, and 20 doctoral offerings. Specifically, the College of Nursing & Health Sciences earned initial accreditation from the Commission on Collegiate Nursing Education (CCNE) on April 20, 2002. In 2011, the Health Care Management MBA also joined the elite Association to Advance Collegiate Schools of Business (AACSB). The University of Massachusetts Boston set freshmen deadlines of November 1st for Early Action and March 1st for Regular Decision. Hopeful Exercise and Health Science B.S. transfers have until June 15th for Fall or December 15th for Spring. Flex MBA cohorts have respective due dates of July 1st and November 15th. Nursing M.S. and DNP entrants are only considered until March 31st yearly. Submitting the UMass Application and Common Application online incurs $60 domestic or $100 international fees. Paper copies plus transcripts are mailed to PO Box 402 in Randolph, MA 02368. Electronic tests, including the TOEFL, are sent using code 3924. Program-specific documents include a 500-word personal essay, academic reference letter, Test of Essential Academic Skills score, RN license, and detailed résumé. Please inquire further at (617) 287-7500 or graduate.admissions@umb.edu. For 2018-19, the University of Massachusetts Boston is billing full-time Commonwealth undergrads $6,920 per term. Non-resident Exercise and Health Science B.S. majors pay $16,820. The New England Regional rate drops to $13,226 each semester. Add-ons include the $125 technology fee, $38 activities fee, $400 College of Nursing fee, and $1,277 health insurance. Living at the “Beantown” campus’ new dorms like Dorchester Hall costs $10,200. Standard meal plans for Dining Commons are $2,700. Annual bachelor’s attendance equals around $27,784 in-state and $46,941 out-of-state. The Graduate School generally charges Bay Staters $760, New Englanders $1,225, and non-residents $1,470 per credit. Full-time semester attendance would range from $9,125 to $17,643 with fees included. According to the NCES College Navigator, the Financial Services Office in Campus Center gets 61 percent of UMB Beacons tuition aid averaging $8,848 apiece for $65.64 million combined. Health-related funds include the Helene Fuld Trust Scholarship, Ruth Burnside Lind Scholarship, Mary Ann Williams Scholarship, Tina Bachand Memorial Scholarship, Peter & Jackie Berlandi Scholarship, Lynch Foundation for Nursing Scholarship, Dr. Myron Segelman Scholarship, Florence Squires Endowed Scholarship, and Tufts Health Plan Scholarship. The Chancellor’s Scholars Program gifts up to $25,000 yearly for freshmen meeting the 3.6 GPA cutoff. Graduates of public Boston and Chelsea high schools claim the $5,000 Samuel Brehm Scholarship. Full graduate assistantships waive 100 percent of in-state tuition with $17,736 annual stipends. Federal resources like the Pell Grant, SEOG Grant, Direct Loan, and Work-Study Program unlock with FAFSA applications coded 002222 by May 1st. Massachusetts natives also pursue the Gilbert Matching Student Grant, Public Service Grant, Agnes Lindsay Scholarship, and Kate Maker Nursing Scholarship. Learn more about the University of Massachusetts Boston at the College of Nursing & Health Sciences website.